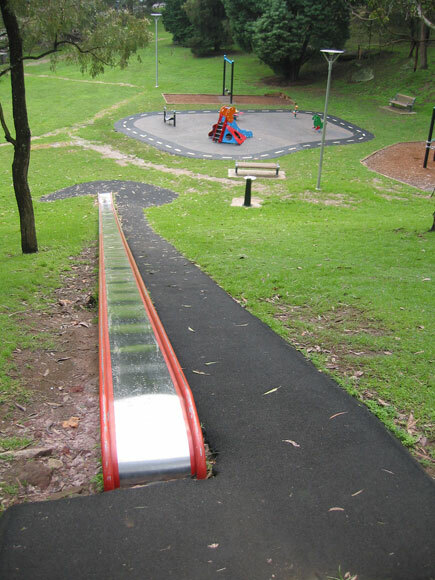 The longest slippery dip is in Newlands Park, St Leonards. Its unique, natural attraction for parents is that you can’t fall off the side. Parriwi Road, The Spit: Water glimpses. Original owner. Period design. 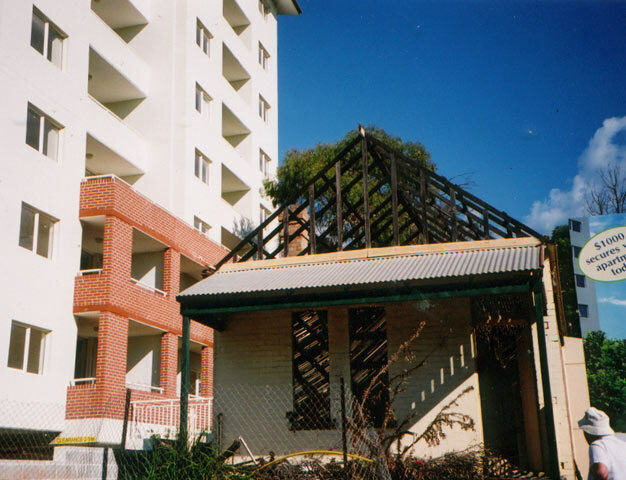 Suit renovator. 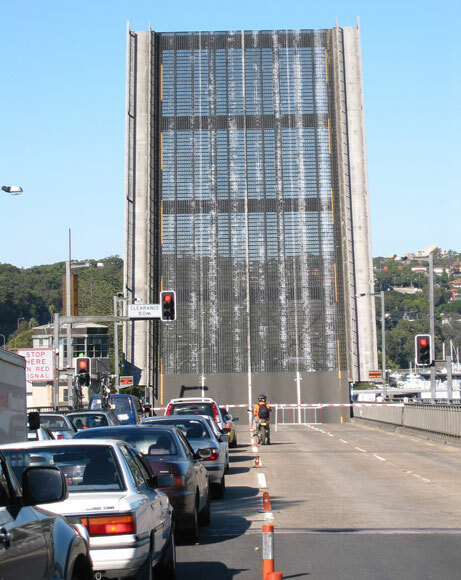 Manly Road drivers who try running red lights on their way to The Spit face an impressive deterrent. 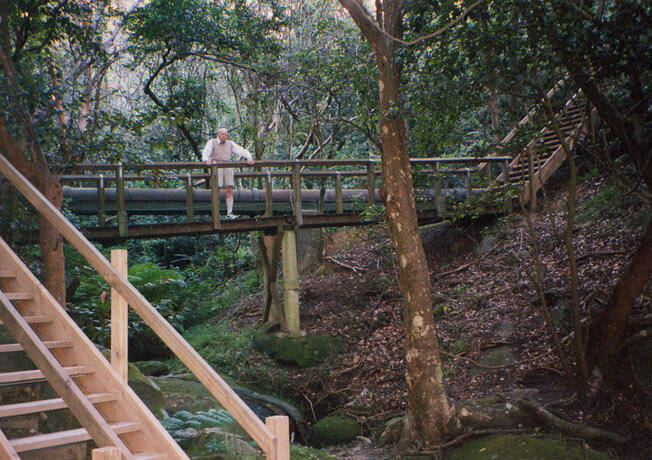 You can inspect this bush boardwalk from The Spit end of the Manly Scenic Walkway, but it’s well worthwhile spending a few hours to do the whole walk. The long and the short guard Shell Cove. 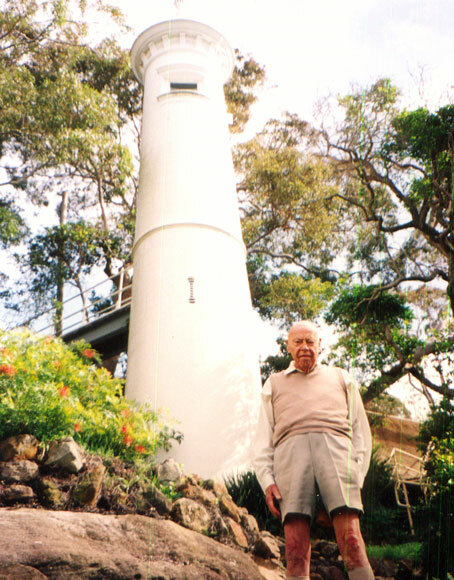 You can take the steps from Parriwi Road, The Spit, to Rosherville Lighthouse and write “I was here” on the lighthouse base. 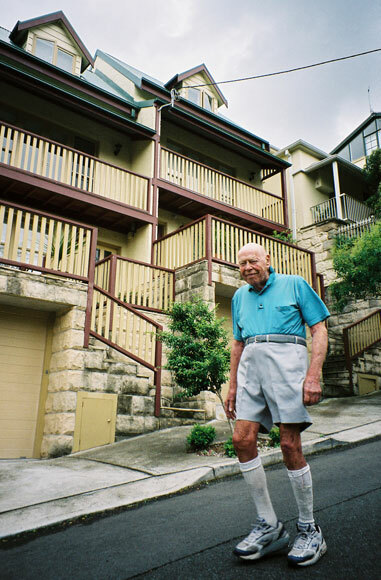 Waitara has been hostile front-page news in local papers for its mass replacement of small, traditional residences with "slightly" larger ones, like that on the left. 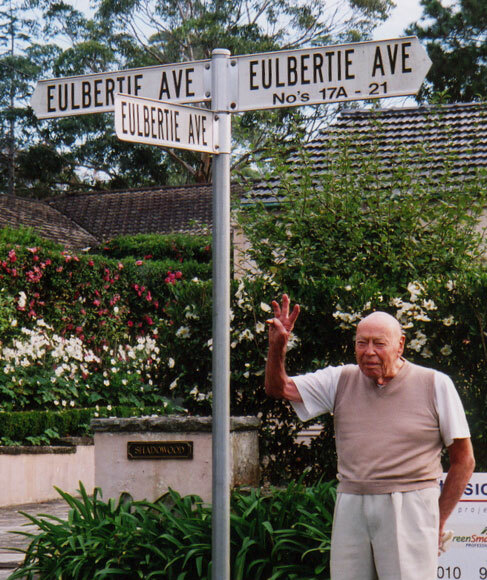 Imagine saying: "To get to my house in Warrawee, turn left into Eulbertie Avenue, then turn left into Eulbertie Avenue... ??? " 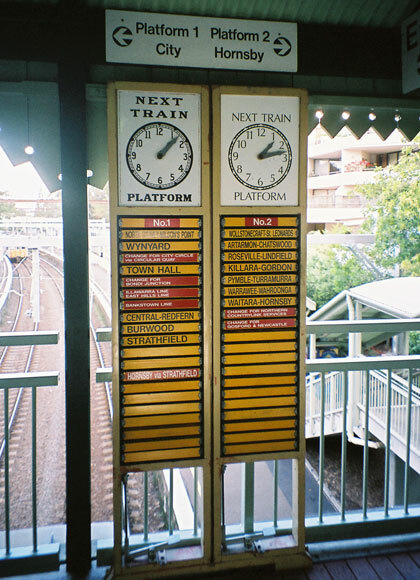 Great moments for young children were discovering the secret button that allowed you to rotate the train destination rollers. 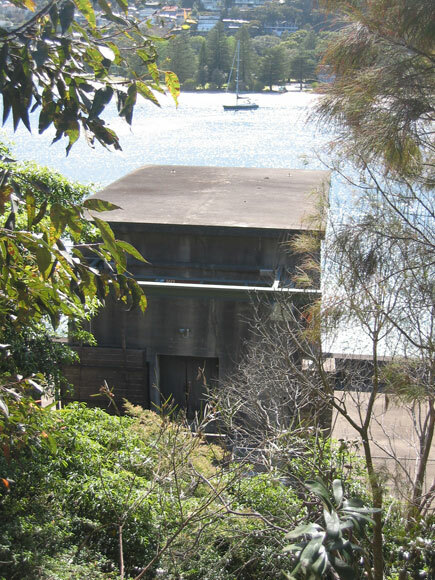 You could try your hand at Waverton until 2008. It retained this manual system unchanged for 55 years. 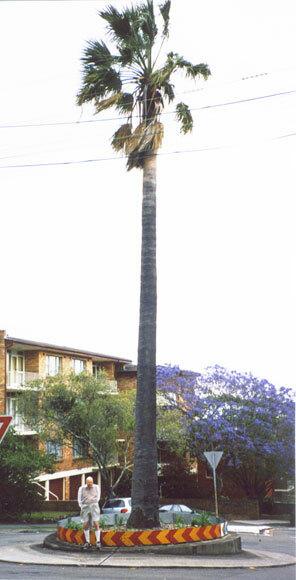 Have you ever seen a taller tee in a roundabout than here at Bay and Carr Streets, Waverton?